Congratulaions! 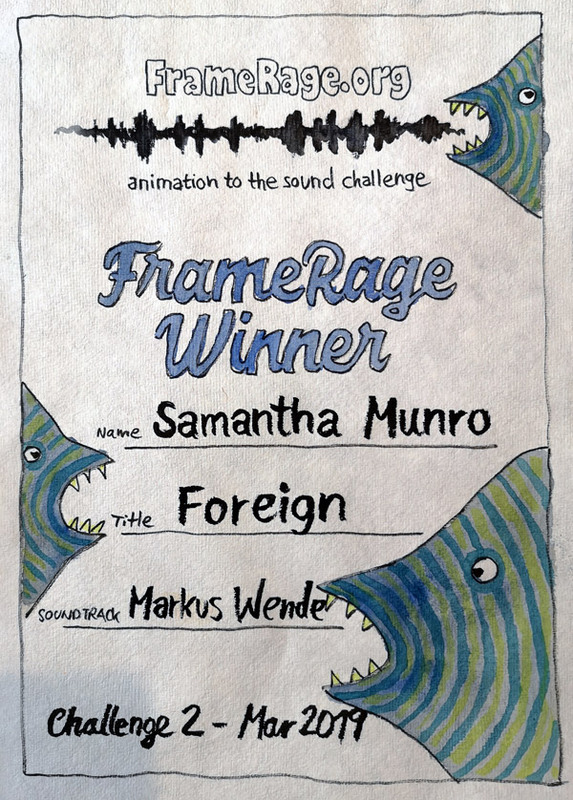 The Winner of the FrameRage Challenge No.2 is SAMANTHA MUNRO from Stuttgart (Germany) with her animation FOREIGN to the soundfile of Markus Wende. „Banamanie“ by Sandra Berger and Claudius Bartmuß to the soundtrack of Chris Malget. Watch the current FrameRage winner and all the other participants of the first FrameRage challenge!